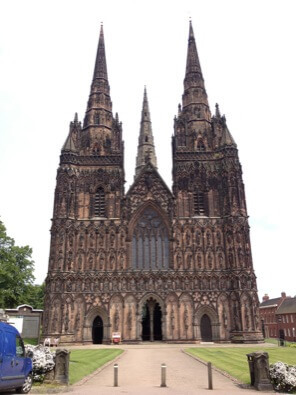 Today the Wednesday Morning Group travelled to Lichfield and Stone in the footsteps of St Chad, the Patron of our Archdiocese. 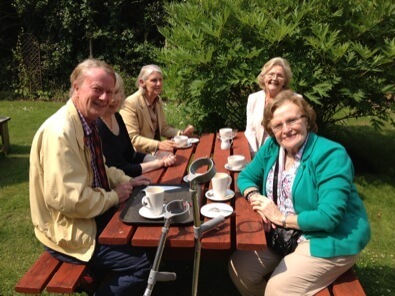 ...But not before a stop for coffee and cake! Plenty of time was had inside the Cathedral. 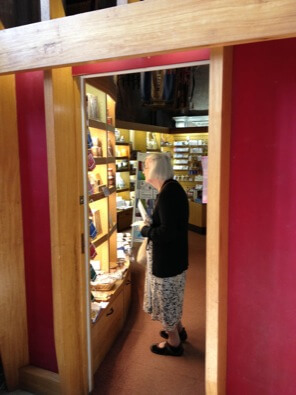 And, of course, there was time for a bit of shopping. 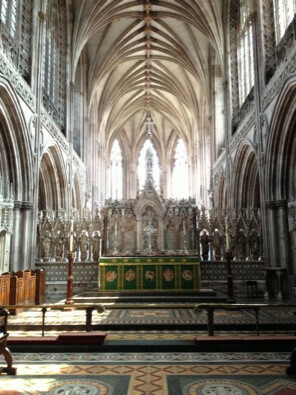 Especially interesting was the raised side-chapel which used to contain the relics of St Chad. 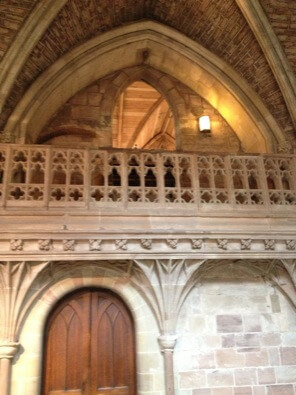 On feast days, his head, encased in gold, was displayed for veneration on this balcony outside the chapel. After lunch, we visited the old Augustinian Priory of St Michael and St Wulfad in Stone, Staffs. 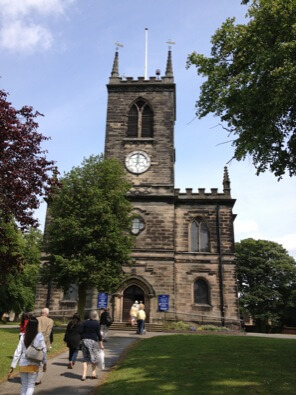 It is now the Anglican Parish Church. The Group was given a talk by the son-in-law of one of our number who lives by the church. St Wulfad was a son of the King of Mercia. 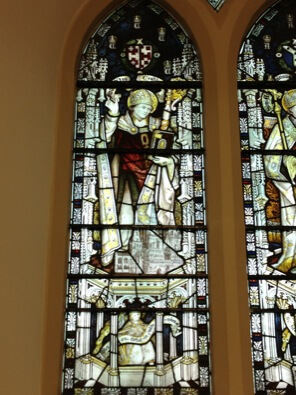 St Chad converted the boy to Christianity. The King was furious and killed his son at Stone, making him a martyr. In atonement, he had the original church build here in honour of his martyred son. In 2011, in Cobham, Surrey, the seal matrix of this Priory was dug up in a field. Quite how it got there is a mystery. 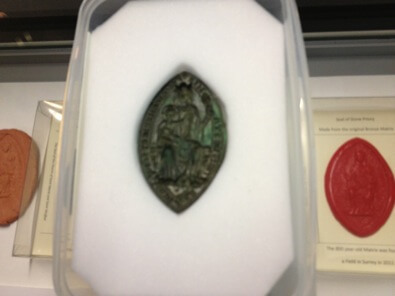 The seal matrix was used to make all the official wax seals for the priory's documents and so was a very important find. 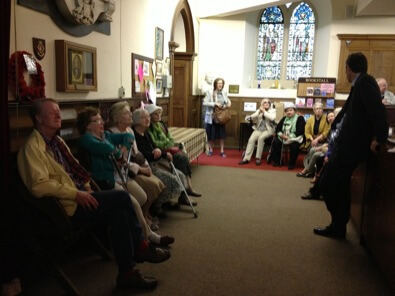 After being fed tea and cake, the Group was sent off back to Oxford. Everybody agreed it had been a most enjoyable day.